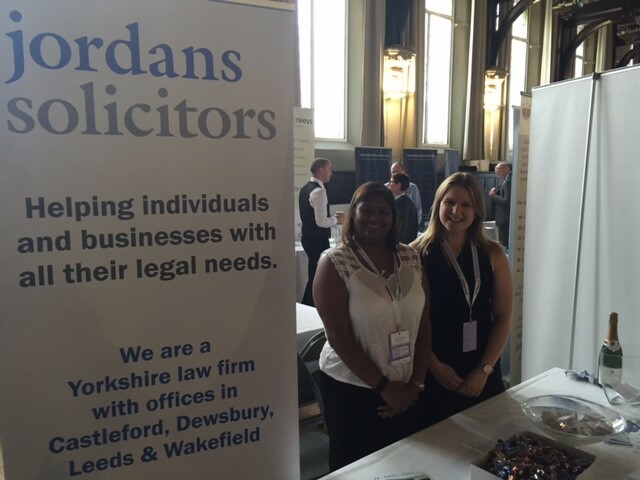 On 15 June 2016, Jordan’s Solicitors were among many local businesses exhibiting at the MY Conference Wakefield. This is an event that we are proud to be a part of. The event was organised by Mid Yorkshire Chamber of Commence and Wakefield First. The My Conference Wakefield forms part of the events that took place during Wakefield Business Week. We were able to meet many new people including local businesses to share in our support for businesses in Wakefield. It was a very successful event. For those of you that attend our stand and put your business card into the prize draw to win a bottle of Champagne, we can confirm that the winner of the prize draw was Jonathan Scott from Northern Media. Well done to Jonathan! If you met with us during the Wakefield Business Week and require any further assistance, please do not hesitate to contact us. Our full contact details can be found on the website.